Please describe what you would like Sr. Hosea Rupprecht, FSP to do: Please enter your message. Now, Sister Hosea is director of the East Coast office of the Pauline Center for Media Studies and speaks on media literacy and faith to catechists, parents, youth, and young adults at the parish, diocesan, and national levels. 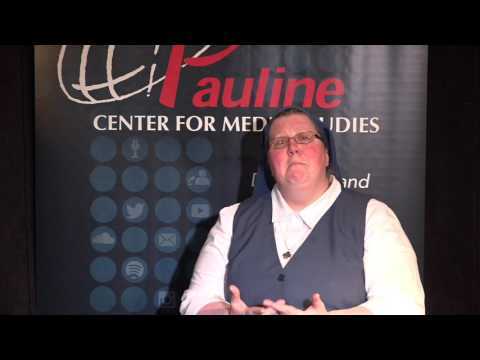 She publishes weekly film reviews from a Catholic perspective for the Pauline Center for Media Studies, Be Media Mindful, as well as providing one-minute audio film reviews for Immaculate Heart Radio. She also hosts monthly Cinema Divina events in New York City. Sister Hosea is the author of How to Watch Movies with Kids: A Values-Based Strategy, aimed at helping parents dialogue with kids about media and to develop a family strategy so that media choices reflect the values of Jesus Christ. 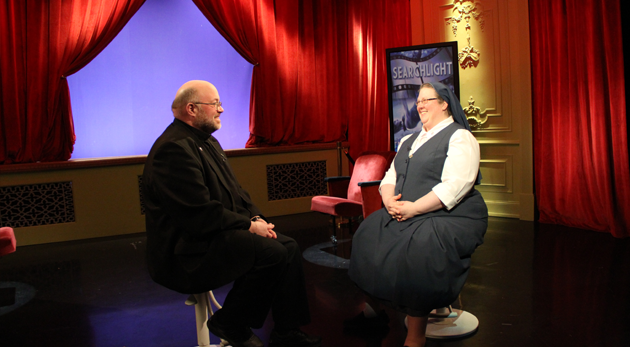 Together with Father Chip Hines, Sister Hosea co-hosts Searchlight, a Catholic movie review program on Catholic TV, which reviews popular film from a Catholic perspective. Catechists and parents are always looking for ways to engage kids in faith formation so that it leads to a living relationship with Christ. In our media-saturated world, this task can be daunting. Media Mindfulness, the inquiry-based strategy presented in this workshop, provides a way for kids (and adults, too!) to engage the media they use every day with the values of the Gospel so as to make media choices consistent with their faith. Encourages critical thinking skills in regard to media. The digital age can present a quite the challenge for Christian parenting today. By presenting the Five Core Concepts and Key Questions of Media Literacy, this workshop aids parents (and anyone working with children) by providing an explanation of the techniques used by media to tell stories and express values. Using film clips, music videos, advertisements, and photographs, we explore how media makes meaning so that we can learn to be discerning media consumers. Because of God’s all-pervasive presence in the world, worldly things have the potential to manifest God’s presence and grace if we have but the eyes to see. Media is one of those worldly things. Media isn’t just for information and entertainment. For people of faith who use media technologies every day, our media encounters can also lead us into prayer. This workshop introduces methods of intercessory prayer, faith sharing, Lectio Divina, and liturgy-based prayer, all with media as a starting point. Let media lead you to prayer and let prayer influence your encounters with media. Have you ever wanted to provide your ministry colleagues with a special time for their own spiritual nourishment, especially since they (and you, too!) spend so much time giving to others? Using the themes and texts of the liturgical season, this experience is a mini-retreat/prayer service which combines film clips with prayer and song for a unique and powerful reflection on the action of God in our daily lives. Social media—Snapchat, Instragram, YouTube, Twitter, Facebook, and others—are a big part of the way teens today communicate and relate with one another. 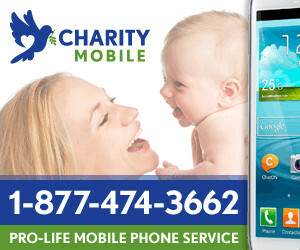 Every photo, every video, every text tells a story of who they are and what they value. This workshop helps teens to embrace their identity as Catholics and encourages them to T.H.I.N.K. when it comes to social media interaction so that the stories they tell reflect their values as disciples of Christ. 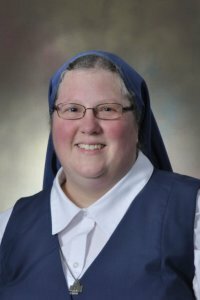 To book Sr. Hosea Rupprecht for an event, contact CatholicSpeakers.com at 513-214-1534 or click here: https://catholicspeakers.com/profiles/sr-hosea-rupprecht-fsp Sister Hosea Rupprecht, FSP, is a member of the Daughters of St. Paul, a religious community dedicated to evangelization with the media. She hails from Renton, Washington (near Seattle). At age nine, her Dad took her to see what we now call Star Wars Episode IV: A New Hope. This—and the voracious reading of Hardy Boys books—cemented a love of story in Sr. Hosea. When Indiana Jones and the Raiders of the Lost Ark came out in 1981, she wasn’t allowed to see it so, like any enterprising teenager, she went to see it with some friends without telling her parents. It was during this time that she realized how influential media stories can be and that the “greatest story ever told,” that of Jesus Christ, could also be told using the media. It’s no coincidence that the Holy Spirit led her to the Daughters of St. Paul.